Her career began while working in foreign sales, assisting The Hurtlocker producer Nicolas Chartier. 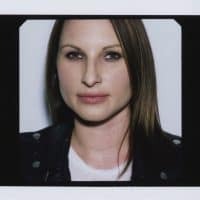 Following that, assisting award-winning commercial and music video director Samuel Bayer, gave her the opportunity to work on campaigns for Verizon, Smirnoff, Mountain Dew, Mercedes Benz, and BMW to name a few. Most recently she has directed campaigns for Chrysler, AT&T, BuzzFeed, and eSalon. She was selected for Shoot magazine’s New Directors Showcase for her Chevy, Imagination commercial. Following that her AT&T, Love Letter in 4G, spot was selected for Shots Magazine’s New Directors Showcase. Andrea has been recognized for her talent and imaginative work as the recipient of Panavision New Filmmakers Grant, she is a member of the Alliance of Women Directors, Free The Bid, Women in Film, and is a Hollywood Foreign Press Fellow.